Lewis Ginter was born 1824 in New York City. His parents died when he was young and Ginter was raised by his older brother and sister and other relatives. Ginter came to Richmond when he was 18 years old, having previously visited during business travels in the South with an uncle. Ginter went into the business of selling fine linens, using attractive wrapping paper to catch the customer’s eye. In 1856 Ginter and his nephew George Arents and another partner formed a wholesale linens business. The business prospered and Ginter amassed a fortune by the time the Civil War broke out. Ginter supported the South by buying bonds, but also stored away some of his own assets in tobacco, sugar and cotton when the war started. He joined the Army and served as a Commissary. Although his tobacco and sugar stores were destroyed during the war, the cotton was saved. He used the proceeds from its sale to return to New York to seek his second fortune. Ginter went into banking and brokerage and prospered, but when the crash of 1873 came, he lost his fortune, allegedly due to the incompetence of a partner. He later repaid the firm’s creditor with compound interest. Ginter returned to Richmond at the age of fifty. His third fortune was made in tobacco, particularly the manufacture and sale of cigarettes. His company Allen and Ginter started with 20 young ladies who hand-rolled cigarettes. By 1890 the Company employed more than 4,000 people. In the 1880s Lewis Ginter started many of the activities which made him so famous in Richmond as an entrepreneur and philanthropist. 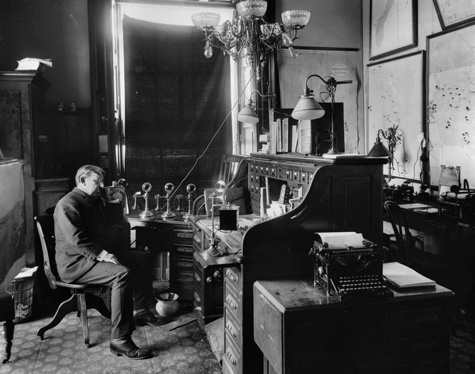 He financed the building of the Jefferson Hotel, owned a newspaper, gave land for the building of the Union Theological Seminary, supported many charities and gave generously to many churches. In 1890 he retired from active involvement in business. In the late 1880s, Ginter started acquiring land and building various developments including Ginter Park. 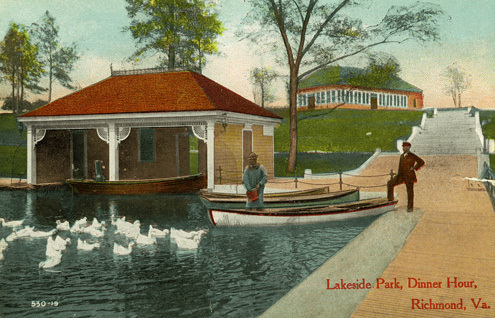 In response to the new craze for bicycling he founded the Lakeside Wheel Club in 1894. 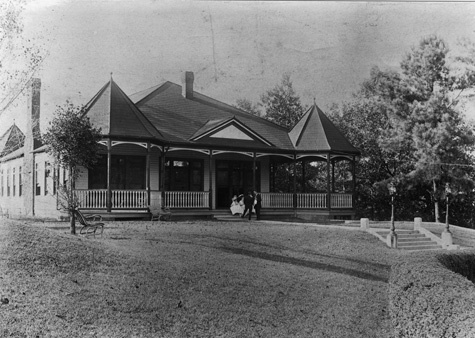 This was the original structure which is now Lewis Ginter Botanical Garden’s historic Bloemendaal House. Ginter dammed the stream to make a lake, built a trolley line from the city, created a nine-hole golf course and a small zoo. For a while it was a very popular recreational complex. The men would bicycle from Richmond while their belles cheered them on from the trolley cars. 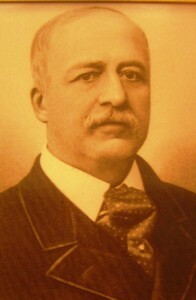 Lewis Ginter died from complications of diabetes in 1897. He was 73 years old. Written by David North; photos courtesy of Valentine Richmond History Center.